See below for updates on McGuyer Homebuilders, Inc., and its brands — Coventry Homes, Plantation Homes and Wilshire Homes. Also, find news of the Texas economy and residential real estate market, as well as other items of interest. One of the BUILDER 100's top firms adds to its success by staying nimble. They say everything is bigger in Texas and when it comes to the productivity of McGuyer Homebuilders Inc. (MHI), it’s no tall tale. Since forming in 1988 the firm has built more than 50,000 homes branching out from its beginnings in Houston to Dallas-Ft. Worth, San Antonio, and Austin. MHI is currently ranked at number 34 on the Builder 100 list of top builders in the country. While busts and booms in the energy business are generally tied to what’s happening in Texas real estate, MHI’s CEO links the current expanding market to having a diversified portfolio. MHI was founded by Frank McGuyer who remains active in the company. His original vision for the firm initially spread across two brands: Plantation Homes, which targeted entry level buyers, and Coventry which offered move-up options. Celebrating 30 years of homebuilding this year, MHI has built more than 50,000 homes for Texas families. One of the nation’s top-selling homebuilders, MHI is active in the Houston, Austin, San Antonio and Dallas-Fort Worth markets. MHI is also embracing green building techniques by building some of its homes to environmental standards including LEED. Despite all of its success, MHI is facing some of the same challenges every builder is facing in every market including one you might not expect in the Lone Star state – a lack of buildable land. Tariffs are also making it hard to keep pricing levels consistent on some of the staples of the trade. “Lumber prices went up earlier in the year, we had a huge spike, they’ve leveled off, now we’ve seen them take another jump,” says Tesch. And of course, the labor shortage is always a challenge especially in the border states. Builders in Tesch's world find themselves competing for the trades as some of the larger firms choose to focus on the number of closings they can achieve in a year as opposed to their bottom lines. “When the publicly owned builders are trying to meet their year-end goals they were paying some of trades bonuses to complete their work and to get things done. Roofers may get paid extra to do another builder’s home first,” he says. 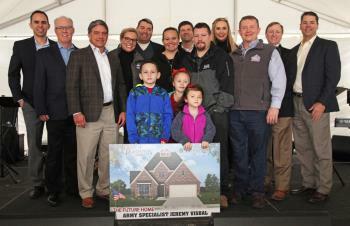 Plantation Homes — in partnership with Operation FINALLY HOME — broke ground on a new, mortgage-free home for U.S. Army Specialist Daniel Dumas in a ceremony held Jan. 27 in Little Elm. Dumas and his family discovered they would be the recipients of the custom home at a surprise ceremony in the master-planned community of Union Park where the home will be located. The ceremony was attended by Congressman Michael Burgess and representatives of Plantation Homes, Operation FINALLY HOME, the Dallas Builders Association and Union Park developer Hillwood Communities. Gary Tesch, president of McGuyer Homebuilders, Inc., parent company of Plantation Homes, said this is the builder’s first collaboration with Operation FINALLY HOME in the Dallas area. 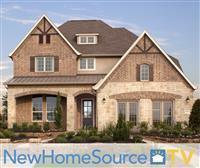 The home at 5108 Shallow Pond Drive is the builder’s two-story Kilgore II floor plan. In deference to Dumas’s combat-related ailments, the builder replaced a media room with a secluded owners retreat. It is slated for a dedication ceremony in June. Dumas joined the Army in 2009 as a medic. His unit deployed a few months later. It took fire on the first day. On the second day, following a meeting with the Afghan National Army, an ANA member opened fire on the group. Dumas was five feet away from the incident before the shooter was shot and killed. The events left him with PTSD and a sensitivity to loud noises. He was discharged honorably in 2014 after receiving many commendations including the Afghanistan Campaign Medal, Army Achievement Medal, Army Good Conduct Medal, Combat Medical Badge and several other awards. Dumas now works full time as a claims adjuster for an insurance company while also attending college to complete a degree in business administration. He has a wife, Melissa, a young son, and one on the way due in May. Plantation Homes builds in Dallas and Houston, garnering a number of state and national product design awards along the way. In addition to Union Park, the builder is active in 16 Dallas-area communities. For more information, visit www.plantationhomes.com. Operation FINALLY HOME was established in 2005, partnering with builder associations, builders, developers, corporate sponsors, individual contributors, and volunteers to help military veterans and their families transition to the home front. For more information about Operation FINALLY HOME, visit www.operationfinallyhome.org. Plantation Homes is part of a group of companies including Coventry Homes and McGuyer Homebuilders, Inc. With a 30-year history in Texas, Plantation Homes currently builds in the state’s largest markets, including Houston and Dallas-Fort Worth. The builder has won numerous awards for its innovative product design, including local, state and national honors. For more information, visit www.plantationhomes.com. Since its inception in 1988, McGuyer Homebuilders exceeds customers’ expectations through quality service, construction, and value. McGuyer Homebuilders offers its award-winning designs under its signature brands – Plantation Homes, Coventry Homes and Wilshire Homes in five markets across Texas. Celebrating 30 years as a Texas homebuilder, McGuyer Homebuilders builds thousands of homes annually and is honored as one of the top 30 homebuilding firms in the nation. For more information, visit www.mcguyerhomebuilders.com. 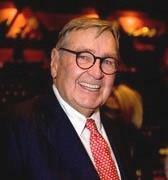 We are saddened by the passing of our dear friend, Ralph O’Connor. Our team at MHI offers our heartfelt sympathy and deepest condolences to the family of Ralph, a longtime supporter of our company. Ralph Sturges O’Connor, a true life force, departed this world on Sunday, the 30th of December 2018, in Houston. He was 92 years of age. He was a wonderful man, a husband, father, stepfather, grandfather, great grandfather, brother, friend and mentor. An eternal optimist blessed with a terrific sense of humor, he was a true gentleman. Born in Pasadena, California, he attended Manhasset High School, Manhasset Long Island and graduated from New Hampton Preparatory School. He enlisted in the Air Cadet Program in November 1943. Following his discharge from the Army Air Corps in 1946, he attended The Johns Hopkins University, graduating in 1951 with a degree in biology. Following graduation he moved to Sour Lake, Texas and began his oil and gas career as a roustabout for Highland Oil Company, where over the years he worked his way up the ladder becoming President and CEO of the Highland Oil Company in 1964. He left Highland Resources in 1987 to start his own firm, Ralph S. O’Connor & Associates. In addition to his oil and gas exploration and real estate activities, he served as a director of numerous companies, including Texas Eastern Transmission Company, Panhandle Eastern Corporation, First City National Bancorporation and First Commercial Corporation. Ralph had a great interest in education at all levels. He truly enjoyed his involvement with schools, students and faculty in both academics and athletics. Houston and the arts also received the benefit of his interest by significant contributions to the business, civic and cultural communities of the city he loved. He took great pride in the time he served as a trustee or director of Rice University, The Johns Hopkins University, Texas Southern University, The Kinkaid School, Episcopal High School, Oldfields School, The Marian and Speros Martel Foundation, Salk Institute for Biological Studies, Texas Children’s Hospital and as Chairman of Hermann Hospital. Wilshire Homes gave two married military veterans the keys to a newly completed home during a recent dedication ceremony. Wilshire partnered with Operation Finally Home, a non-profit organization that works to supply homes for disabled veterans, to provide Nick and Shelby Nelms and their two children with a custom-built, mortgage-free home. The Nelms both suffer from combat-related ailments received while serving in Afghanistan. The 2,752-square-foot home is located at 2705 Diego Drive within Paloma Lake, a 750-acre master-planned community in Round Rock. In addition to constructing the home, Wilshire furnished it. Wilshire Homes broke ground on the residence — the builder’s Groveton design — in May. A “Notes of Love” signing event, where friends and neighbors could write supportive notes on the studs of the home, was held in August. Those same friends and neighbors were on hand during the dedication ceremony to witness the Nelms receiving the keys to their new home. Also in attendance were representatives of MHI and Operation Finally Home, as well as Allen Banks, chief of police for Round Rock and other members of the community. Wilshire Homes builds in Austin and San Antonio, garnering a number of state and national product design awards along the way. In addition to Paloma Lake, the builder is active in 14 Austin-area communities. Details about Wilshire Homes are available at www.wilshire-homes.com. Click here to watch the video from the Dedication Ceremony. AUSTIN, TX (May 18, 2016) – Wilshire Homes, in partnership with Operation Finally Home, broke ground on a new home for two military veterans in a ceremony held May 17 in Round Rock. This is the first time the builder has teamed up with the non-profit organization, which is dedicated to providing custom-built, mortgage-free homes for disabled or ill veterans and their families. Wilshire’s home will be located at 2705 Diego Drive within Paloma Lake, a 750-acre master-planned community in Round Rock. Nick and Shelby Nelms who met while in the Army and both served in Afghanistan, were named the recipients of the mortgage-free home on the Bob Cole KOKE FM morning radio program shortly before the groundbreaking ceremony May 17. The couple was on a mission in 2011 when Shelby’s truck was hit by an improvised explosive device (IED). An Army medic, Nick ran to the truck and pulled Shelby to safety. The pair married later that year upon returning from Afghanistan. They now have two children and still suffer from combat-related ailments. Coventry Homes and Plantation Homes, in partnership with Builders Digital Experience (BDX), is being featured on New Home Source TV in a series of segments that highlight the builders’ philosophy and designs. Hosted by Brett Tutor, a certified home inspector and green home auditor, New Home Source is an hour-long, HGTV-style real estate program focused on the Houston market. The show airs at 11 a.m., Sundays, on KHOU Channel 11, taking viewers on a tour of the latest floor plans, design trends, green features and neighborhood amenities offered by new home builders. Segments featuring Coventry and Plantation began airing April 3 with a tour of a Coventry model home. Pieces about Plantation Homes, the builders’ “Built Around You” philosophy and the design center are slated to air weekly through July 24. Episodes also can be viewed on the New Home Source website, www.newhomesource.com/newhomesourcetv/houston. Miller is particularly excited about the opportunity to explain the builders’ “Built Around You” philosophy and provide viewers with a tour of the design center. Both Coventry Homes and Plantation Homes build in communities throughout the Houston area, including Towne Lake in Cypress, Firethorne in Katy, Aliana in Richmond and Pomona in Manvel. Coventry’s homes are priced from the $300,000s to more than $1 million. Plantation’s homes start from the $220,000s to the $500,000s. McGuyer Homebuilders, Inc. is one of the top 30 homebuilders in the nation and has been repeatedly recognized for its excellence in home design. It has been building homes in Texas for more than 25 years and markets in Houston, Dallas-Fort Worth, Austin and San Antonio. Houston, TX (April 12, 2016) – Home has never been so sweet for polio survivor Abdel Amraoui, who on Tuesday was handed the keys to his very first home. Emigrated to the United States in 2001 from Casablanca, Amraoui faced homelessness, with a remaining paralysis in his legs and an inability to understand English. Hard work, determination and help from friends like Coventry Homes, Plantation Homes and others involved in the 2016 KPRC Habitat Home has earned Amraoui, his wife and three children a new home through Houston Habitat for Humanity. Work began on the KPRC Habitat Home in January in the parking lot of the KPRC Channel 2 studios. Corporate employees of Coventry Homes and Plantation Homes picked up tools early on to help construct the home, unloading and installing finished frames, securing the frame to the foundation and attaching anchors and windstorm clips. It is the third consecutive year Coventry Homes and Plantation Homes have participated in the project. The four-bedroom brick home is located in Harrel Park 2, a northeast Houston neighborhood being developed by Habitat for Humanity. The recipient selection process is new this year, with six approved families invited to participate in construction of the home. Amraoui, who now works full time in the IRS Taxpayer-Advocacy Division, and his wife Laila were told April 5 they had been selected to receive the home. Joining Coventry Homes and Plantation Homes in sponsoring the KPRC Habitat Home were Star Furniture, Christian Brothers Automotive, Pappas Restaurants and Shipley Donuts. The Houston Habitat for Humanity organization has been active in the Houston area for 28 years, building 1,000 homes for approximately 4,000 low-income residents. More information can be found at www.houstonhabitat.org. McGuyer Homebuilders, Inc., (MHI) offers homes throughout five major markets in Texas under its signature brands Coventry Homes, Plantation Homes and Wilshire Homes. The company received the Humanitarian of the Year award for its extensive community outreach during the 2015 Houston’s Best PRISM Awards presented by the Greater Houston Builders Association. For more information, visit www.mcguyerhomebuilders.com. AUSTIN, TX (March 7, 2016) – For a second consecutive year, McGuyer Homebuilders, Inc., (MHI) has been named Production Builder of the Year in the Austin Business Journal’s Residential Real Estate Awards. The winners of the 17th annual awards program were announced March 3 during a sold-out luncheon at the Hyatt Regency Austin. Honored were top-selling Realtors; top custom, production and green builders; and the area’s leading master-planned community. McGuyer Homebuilders, Inc., builds as Wilshire Homes and Coventry Homes in Austin and was the first production builder to commit that every home it builds meets standards of the U.S. Green Building Council’s LEED for Homes program, regardless of price. This LEED certification promises high-performance homes that use less energy, less water and fewer natural resources than homes not LEED-certified. 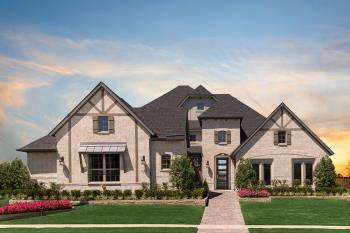 Coventry Homes builds from the $350,000s in six Austin-area master-planned communities, including Sweetwater and Rough Hollow in west Austin, Harrison Hills in Dripping Springs, Rim Rock in Driftwood, Rancho Santa Fe in Liberty Hill and its newest development — Lakeside at Lake Georgetown in Georgetown. Wilshire Homes builds homes priced from the $210,000s in 14 Austin-area communities, opening new model homes and boasting new available homesites in several developments. 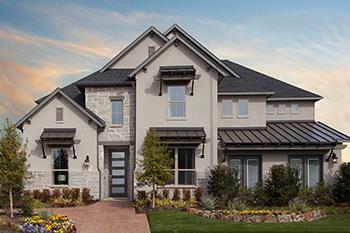 Wilshire Homes has started presales in its newest community, Carneros Ranch in Leander, and is nearly sold out at West Cypress Hills in Spicewood and Highpointe in Austin. For more information on Coventry Homes, visit www.coventryhomes.com. For details on Wilshire Homes, visit www.wilshire-homes.com. Houston, TX (Oct. 2, 2017) – For the first time, U.S. Army SFC Demitra Jarrett came home to Woodforest last week, accepting the keys to a newly built Coventry Homes’ design through the Operation FINALLY HOME program and receiving a few very special surprises. Family, friends, members of the Montgomery County Fire Department, Woodforest residents, Operation FINALLY HOME representatives and Coventry Homes staff were on hand to welcome Jarrett to her new home, provided free through the program. She and close family and friends were escorted to the one-story residence by the Patriot Guard Riders. After comments from Gary Tesch, president of McGuyer Homebuilders, Inc., parent company of Coventry Homes; Paul Blackburn, MHI region president; and Lee Kirgan, vice president of operations for Operation FINALLY HOME, Jarrett was treated to the first of several surprises — her brother, U.S. Army Corporal Tramel Peterson, who was waiting in her new home. Peterson had been deployed to the Middle East for the last year and is currently stationed in Baltimore. It had been about five years since the two had seen each other. Jarrett served two years in the Army Reserve before going on active duty in 2002. She has been deployed overseas multiple times — including twice to Iraq and once to Kuwait — and suffered serious injuries during her first deployment in 2003. Today, Jarrett suffers from PTSD, traumatic brain injury, lupus and rheumatoid arthritis. She has received many awards for her service, including the Meritorious Service Medal, Joint Service Commendation Medal and the Army Achievement Medal. The 2,456-square-foot home is compliant with the American with Disabilities Act (ADA) and includes many customizations to accommodate the wheelchair Jarrett often must use, including the height of the countertops, a wheelchair-accessible sink and a microwave oven installed into the lower cabinets. Other surprises included ADA-compliant appliances, a furnished living room, kitchen and breakfast area, and an accent wall in her master bedroom painted purple, Jarrett’s favorite color. Operation FINALLY HOME has more than 200 homes in 33 states that have either been completed, are under construction or are currently in the planning stages. This is Coventry Homes’ second partnership with Operation FINALLY HOME. Woodforest developer Johnson Development also partnered previously with the organization on several projects. Learn more about Coventry Homes at www.coventryhomes.com. Details about Woodforest can be found at www.woodforest.com. Click here to watch the video from our Dedication Ceremony for US Army SFC Demitra Jarrett. Messages of encouragement, thanks and even a “You are beautiful” were just some of the “Notes of Love” people wrote on wall studs, concrete and posts of a new, mortgage-free home being built for U.S. Army SFC Demitra Jarrett through the Operation FINALLY HOME program. About 75 visited the home — being built by Coventry Homes in the Woodforest master-planned community — on July 14 to write their notes before the home is sheetrocked this week. Jarrett was there with her son Trey and other family members from Little Rock, Ark., and Orlando, Fla., to read the notes of appreciation left by fellow veterans, Montgomery Fire Department firemen, Coventry employees, Woodforest residents and other supporters who showed up. Among the many messages, one visitor wrote, “You are beautiful” on the ground in chalk where her master bath vanity will be installed. “I pointed it out to Demitra and told her that every time she looks in the mirror, she should remember that those words are on the ground beneath the flooring,” said Lee Kirgan, Operation FINALLY HOME Vice President of Construction and Project Manager for the home. The one-story, 2,456-square-foot home is expected to be complete in about six weeks. It has several customizations for Jarrett and her family, including two master suites connected via closets — one suite for her and the second for her mother, who helps care for Jarrett. There will be an automated doggie door for Jarrett’s dog, Bootsy, and the kitchen will have two sinks, including one that is wheelchair-accessible. Jarrett served two years in the Army Reserve before going on active duty in 2002. She has been deployed overseas multiple times — including twice to Iraq and once to Kuwait — and suffered serious injuries during her first deployment in 2003. After being diagnosed with lupus, Jarrett returned to duty in 2005. In 2012, she was accepted into Army Officer Candidate School (OCS), but was unable to attend due to her deteriorating condition. She served as a squad leader and platoon sergeant for the Fort Belvoir Wounded Warrior Battalion before she medically retired from the Army in 2013. Jarrett has earned a multitude of awards during her time in the Army, including the Meritorious Service Medal, Joint Service Commendation Medal, Army Achievement Medal and many more. Today, Jarrett suffers from PTSD, traumatic brain injury, lupus and rheumatoid arthritis. Operation FINALLY HOME was founded in 2005 by Texas custom homebuilder Dan Wallrath. Today, Operation FINALLY HOME has more than 200 homes in 33 states that have either been completed, are under construction or are currently in the planning stage. This is Coventry Homes’ second partnership with Operation FINALLY HOME. Woodforest developer Johnson Development also partnered previously with the organization on several projects. Learn more about Operation FINALLY HOME at www.operationfinallyhome.org and about Coventry Homes at www.coventryhomes.com. Details about Woodforest can be found at www.woodforest.com. McGuyer Homebuilders, Inc., (MHI), parent company of Coventry Homes, Plantation Homes and Wilshire Homes, is once again listed among the nation’s largest homebuilders. The company ranked at No. 36 on the annual Builder 100 list compiled by BUILDER magazine. The annual tally is based on the total number of homes closed during the previous year. In 2016, MHI closed on 1,504 homes, an increase of 9 percent over 2015 closings. Among privately held builders, MHI ranked No. 18. McGuyer Homebuilders, Inc., launched in 1988 and builds as Coventry Homes and Wilshire Homes in Austin and San Antonio, and Coventry Homes and Plantation Homes in Dallas-Fort Worth and Houston. In all, the company builds in more than 90 Texas communities. The company also supports many community initiatives, including Habitat for Humanity, HomeAid Houston and Operation Finally Home, which awards mortgage-free homes to veterans. In 2015, it was named “Humanitarian of the Year” by the Greater Houston Builders Association in the Houston’s Best PRISM awards. HOUSTON, TX (May 19, 2017) – Coventry Homes — in partnership with Operation FINALLY HOME — is breaking ground on a new custom home for U.S. Army SFC Demitra Jarrett in honor of her years of military service. Jarrett discovered she would be the recipient of the mortgage-free home in a special surprise ceremony at the site of their new home in South Montgomery County’s Woodforest Thursday. Gary Tesch, president of McGuyer Homebuilders, Inc., parent company of Coventry Homes, said he felt it was important to continue his firm’s partnership with Operation FINALLY HOME to support veterans. Today, Jarrett suffers from PTSD, traumatic brain injury, lupus and rheumatoid arthritis. Coventry is building Jarrett’s new home to accommodate her wheelchair. Paul Blackburn, MHI region president for Houston, spoke during the event, as well. Jarrett, who holds a bachelor’s degree in human resources management and an associate’s degree in management studies, is continuing her education studying for a master’s degree in psychology. She said she plans to finish her Ph.D. in endocrinology/rheumatology and hopes to study her own illness and provide coping skills to fellow veterans suffering from PTSD. Operation FINALLY HOME first selects a builder for each project and then moves on to choosing a veteran and location. Partnering with builders, developers, corporate sponsors, builder associations, individual contributors and volunteers, the organization is able to deliver a custom-built home mortgage free to selected military heroes. The announcement of the recipient is a surprise; Jarrett believed she was coming to Woodforest to meet with representatives of Operation FINALLY HOME and Coventry Homes as part of the application process. Operation FINALLY HOME was founded in 2005 Texas custom homebuilder Dan Wallrath. Today, Operation FINALLY HOME has over 200 homes in 33 states that have either been completed, under construction or are currently in the planning stage. This is Coventry Homes’ second partnership with Operation FINALLY HOME. Woodforest developer; Johnson Development also partnered previously with the organization on several projects. Coventry Homes is an integral part of a group of companies including Plantation Homes and McGuyer Homebuilders, Inc. The original founders continue to manage the company, leading a team of top professionals in architecture, construction, land, finance and customer service. Coventry Homes has won numerous local and state awards for best product design and has been building in Texas for more than 25 years, with current programs in Houston, Dallas-Fort Worth, Austin and San Antonio. For more information, visit www.coventryhomes.com. Since its inception in 1988, McGuyer Homebuilders exceeds customers’ expectations through quality service, construction, and value. McGuyer Homebuilders offers its award-winning designs under its signature brands – Plantation Homes, Coventry Homes and Wilshire Homes in five markets across Texas. Celebrating more than 25 years as a Texas homebuilder, McGuyer Homebuilders builds thousands of homes annually and is honored as one of the top 30 homebuilding firms in the nation. For more information, visit www.mcguyerhomebuilders.com. The home was given to Nick and Shelby Nelms, both of whom suffered combat injuries when serving in Afghanistan. The idea sounded great on paper, but MHI-McGuyer Homebuilders president Gary Tesch was a little apprehensive when he first heard it. Helping veterans this way was a daunting task with a lot of responsibility. 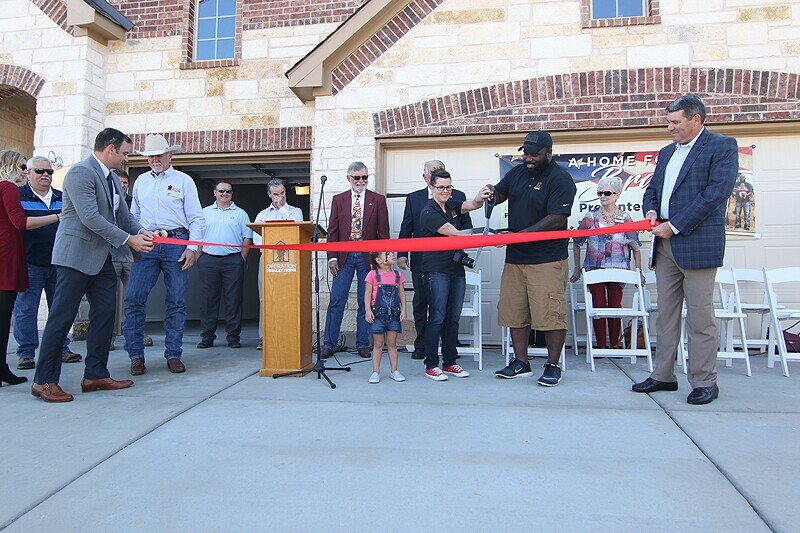 MHI teamed up with Operation Finally Home to build a new home for two veterans and their children in Round Rock, Texas. Would MHI, the parent company of three builder brands—Wilshire Homes, Coventry Homes, and Plantation Homes—have the time and resources to plan and execute this project while keeping pace in the competitive Texas home building landscape? What MHI—specifically, its Wilshire Homes brand, which builds in Austin and San Antonio—accepted was an invitation from Operation Finally Home to construct a home in Round Rock, Texas. A nonprofit organization based in New Braunfels, Texas, Operation Finally Home supplies mortgage-free homes to veterans and their families. Founded in 2005, Operation Finally Home has its fingerprints on more than 200 homes in 33 states that alternatively have been completed, are currently in construction, or are currently in planning. Its team selects veterans who are wounded, ill, or injured, or widows of the fallen, and offers them a home. It also finds a builder willing to construct the home and a lot on which to build it. MHI broke ground on the home in May 2016. Wallrath has focused on Operation Finally Home full time since walking away from his Houston-based company, Dan Wallrath Custom Home, in 2015. One challenge Tesch was apprehensive about when Operation Finally Home first reached out to him was that of bringing enough suppliers and contractors on board. “Everybody is so busy, [I was] nervous where the dollars were going to come from if they weren’t able to chip in,” he says. And the big question as to where the home would be built was soon answered after local developer Blake Magee donated a lot in the Paloma Lake master-planned community. Wallrath wasn’t surprised by the industry’s response. It’s something he’s seen for 12 years. “They come out of the woodwork to build for a veteran,” he says. In this instance, the involved parties would build a 2,752-square-foot home for the Nelms family. Nick and Shelby Nelms, who have two children, both suffered combat injuries when serving in Afghanistan. Following a surprise announcement on live radio telling the Nelms about their new home, the project broke ground on May 17, 2016. Philip Haustein ATXfotosNick and Shelby Nelms, center, were given their new home in December 2016. Tesch was one of the handful of people who accompanied the Nelms inside their home for the first time in December, and he recalls that Shelby began to cry after walking into her daughter’s bedroom. Shelby said it was the first time her daughter would have her own room, according to Tesch. “That part was extremely rewarding and life changing to be a part of,” he says. Molly Halliday, senior vice president of marketing and project management for Operation Finally Home, says Tesch’s experience is nothing new. “It changes the lives of the veterans, but it also changes the lives of everyone associated with the project because you really feel you’re helping your community and you’re making the world a better place,” she says. For Tesch and the team at MHI, the experience was something they won’t soon forget. And that new experience will come in handy when MHI breaks ground on its next Operation Finally Home project, in Houston, this year, under its Coventry Homes brand. To find out more information about Operation Finally Home, click here. This article originally appeared on builderonline.com. HOUSTON, TX (December 2018) – McGuyer Homebuilders, Inc., (MHI) is once again saying, “Thank you for your service” by partnering with a charity to build a mortgage-free home for a military veteran. This is the fourth such home MHI has constructed. This time, it is working with Building Homes for Heroes®, a national non-profit founded in 2006. U.S. Army Specialist Jeremy Visbal found out he was the lucky recipient during a surprise presentation Saturday, Dec. 8. The Army veteran, his wife and four children were attending a Veterans Holiday Celebration in Manvel’s Pomona community when it was announced the Visbals would be receiving the keys to a mortgage-free home next year in Pomona. Specialist Visbal joined the Army in 1997 and served 10 years. During his service, he experienced several combat incidents that led him to develop post-traumatic stress syndrome (PTSD). Plus, multiple Humvee crashes and exposure to IED blasts resulted in traumatic brain injury (TBI). In addition, three of his four children have major health issues. “Receiving a mortgage-free home would provide peace and stability for my family and allow me and my wife to focus on our mental and health and tend to our children’s ongoing health care and well-being,” Specialist Visbal said. The home is being built under MHI’s Plantation Homes brand on a homesite donated by Hillwood Communities, developer of Pomona. The home will be Plantation’s one-story Avery design, offering four bedrooms, three baths, a game room and study within 2,785 square feet. In May, Tesch and others handed over the keys to a Plantation Homes design in Dallas to U.S. Army Specialist Daniel Dumas. Building Homes for Heroes has steadily grown its program and expects to gift a milestone 200th home in 2019. It has been rated four stars — the highest number possible — by Charity Navigator, the nation’s largest charity evaluator. For more details on the non-profit, visit www.buildinghomesforheroes.org. McGuyer Homebuilders, Inc., builds throughout Texas under the signature brands of Coventry Homes, Plantation Homes and Wilshire Homes. 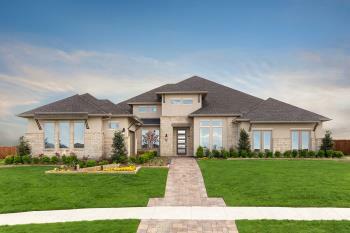 Plantation can be found in 19 Houston-area communities and 15 developments in the Dallas-Fort Worth region. For more information about Plantation Homes, visit www.plantationhomes.com. 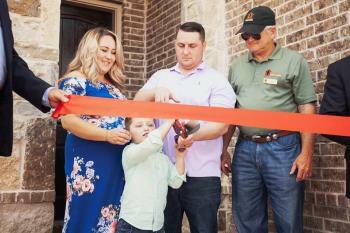 U.S. Army Specialist Daniel Dumas was handed the keys to his new mortgage-free home during an Operation FINALLY HOME dedication ceremony held May 24 in Little Elm. 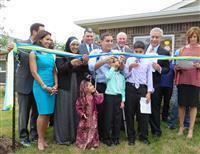 The ceremony marked the 145th home dedication for deserving veterans through the Operation FINALLY HOME program. The home — the Plantation Homes’ Kilgore II design — was the third McGuyer Homebuilders Inc., (MHI), has built for the organization. Also attending the ceremony was Hillwood Communities President Fred Balda. Hillwood Communities donated a homesite in its Union Park development for the project, and 20+ vendors and trades donated time and material. Plantation Homes broke ground on the home Jan. 27, adjusting the four-bedroom floor plan to accommodate Dumas’ combat-related ailments. In April, the public was invited to write “Notes of Love” on the studs of the home before drywall was installed. Dumas joined the Army in 2009 as a medic. An incident involving the Afghan National Army occurred a few months later, leaving Dumas with PTSD, a sensitivity to loud noises and other traumatic injuries. Operation FINALLY HOME was established in 2005 with a mission of providing custom-built, mortgage-free homes to military heroes and the widows of the fallen. The organization partners with corporate sponsors, builder associations, builders, developers, individual contributors and volunteers to help military heroes and their families address one of their most pressing needs -- a home to call their own. Operation FINALLY HOME has more than 200 homes in 33 states that have either been completed, are under construction or are currently in the planning stage. For more information about Operation FINALLY HOME, visit www.operationfinallyhome.org.